With the Life is Beautiful Music & Arts Festival less than a month away, it is time for stages to being being announced. 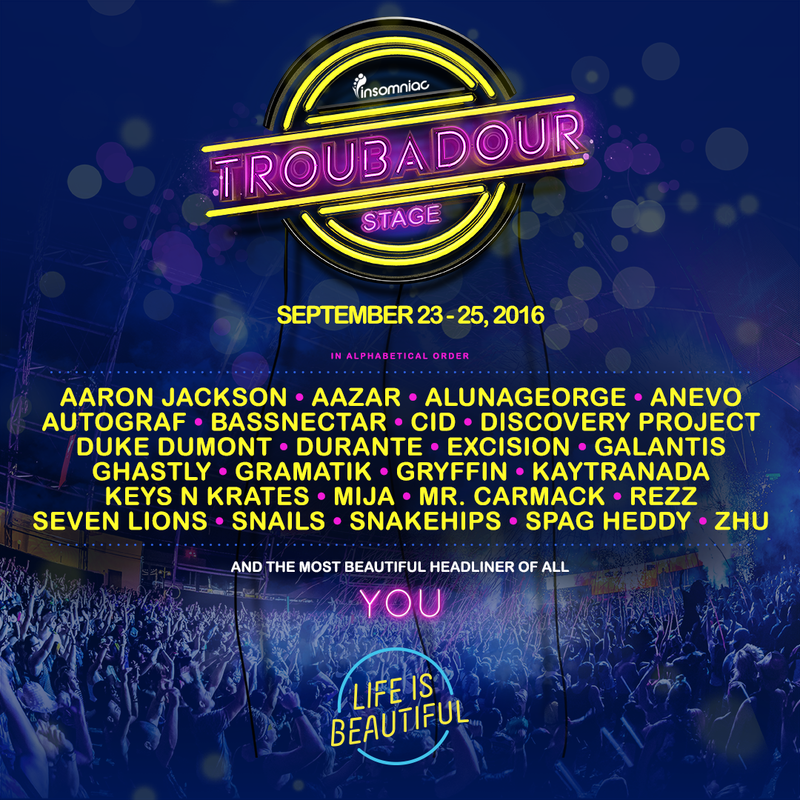 For the second year in a row, Insomniac Entertainment will be curating the Troubadour Stage. With a festival that takes three days and 18 blogs of Downtown Las Vegas to fit all that is being incorporated, it is expected that every stage will be jam packed. The Troubadour Stage will be shaped as a dome and the it will be standing 120 feet wide and 240 feet long. Inside there will be more than 10 lasers, 200 lighting fixtures and 590 video tiles hanging from the ceiling. The experience will be multi-sensory and will be focused around 25 diverse artists. To buy tickets head to the Life Is Beautiful website.